This limited collector’s edition is one of only 100 copies. Each book is numbered (1/100) and is autographed by Matthew Karanian. This set includes an original 16 x 20 fine art print of the ancient Armenian city of Ani (shipped separately). This limited collector’s edition is one of only 100 copies. Each book is numbered (1/100) and is autographed by Matthew Karanian. This book is one of the regular press run of potentially unlimited copies. The book is not numbered and it is not autographed. 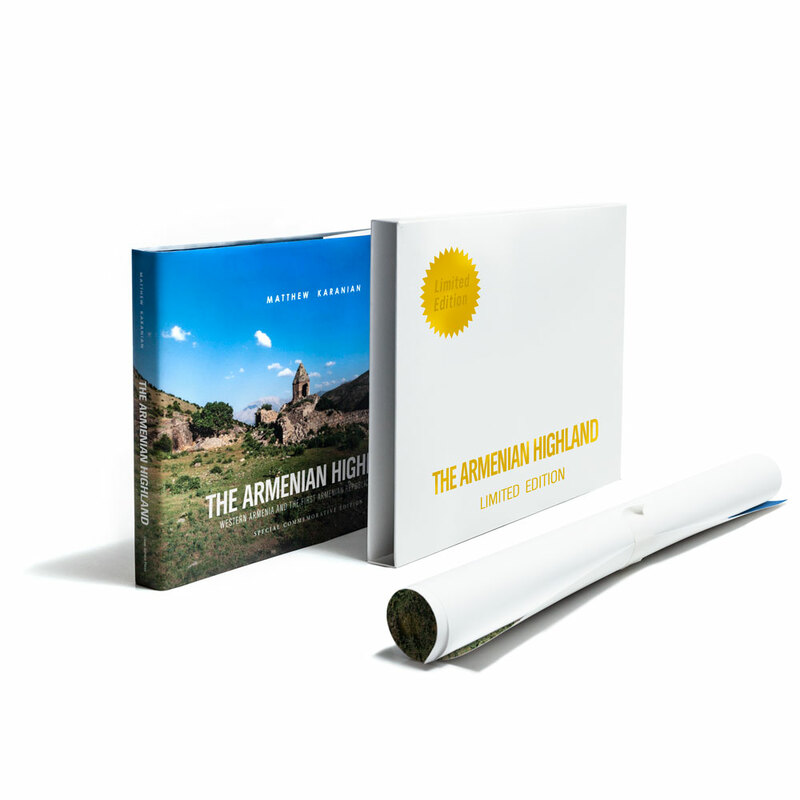 This deluxe commemorative edition celebrates the centennial of the establishment of the First Armenian Republic of 1918 and the survival of the culture and heritage of Western Armenia, in the lands of the Armenian Highland. THE ARMENIAN HIGHLAND shines a light on the monuments, churches, and culture of the Armenian nation and leads us on a journey of rediscovery.